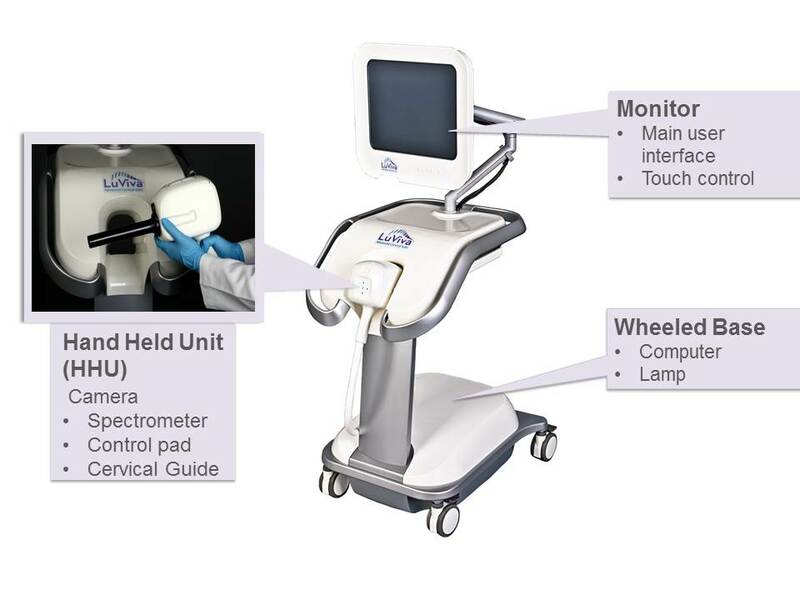 The device itself consists of three main components: Touch screen monitor, Hand Held Unit, and the Wheeled Base. Touch screen monitor– With touch control capabilities to input data and manage test procedure, it is the main user interface of the device. Attached on a swing-arm mount to allow the operator to make necessary adjustments for viewing. Hand Held Unit is also called the HHU. It houses the camera and spectrometer. With a control pad and a trigger switch it too allows for operator control for test management. The Cervical Guide, the disposable component of the LuViva system, attaches to the HHU. The Cervical Guide, the disposable component of the LuViva system. 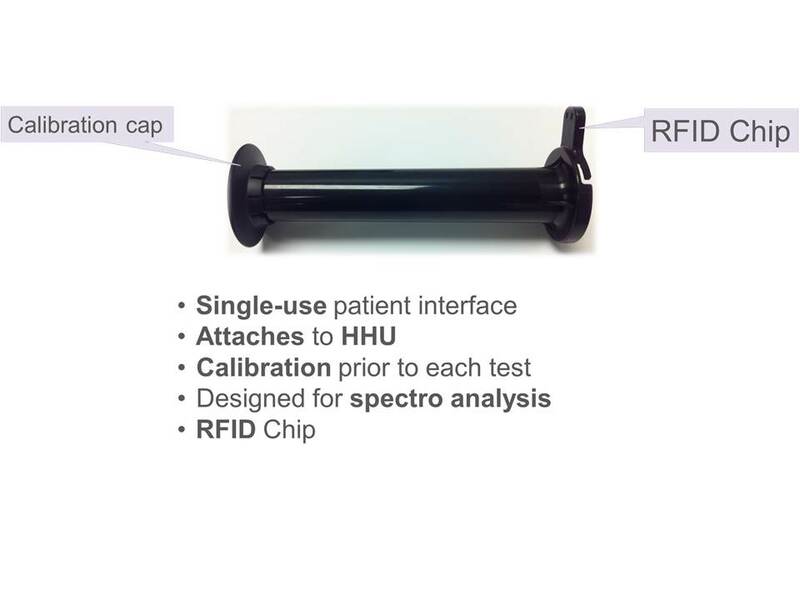 It is a single-use, disposable patient interface that attaches to the HHU (shown above). Besides aiding the test procedure, the CG is used to calibrate LuViva prior to each patient. Having calibration take place before each patient use means that you are confident that you will be getting optimal testing every time. The Calibration Cap is removed after calibration… the cap itself contains special paper used for calibration of the spectrograph. The Cervical Guide can be used with most speculums.